As a well-travelled Frommer’s guide writer to the region says, “Chobe is all about the river”. This is where the best, most varied sightings are, she says, and yes, it’s home to the densest concentrations of game. This is especially true in winter, when the lovely sapphire blue Chobe offers a ribbon of opportunity for game to come to drink deeply and cool off. Forest and floodplains line the Chobe River, and besides some semi-permanent pans further south in the park and the Linyanti River, there’s not much other water to be had in dry season. This then, is where the main action takes place. It is a magnet for elephant – sometimes they dot the floodplain for as far as they eye can see – and buffalo. Lucky guests cruising along the river can see lion on the banks, and rotund hippopotamuses slumber and wallow in the shallows. Every so often a slug of a croc will be seen, basking in the sun like all reptiles love to do. This is also virtually the only place in Botswana to find Puku antelope and the Chobe bushbuck. 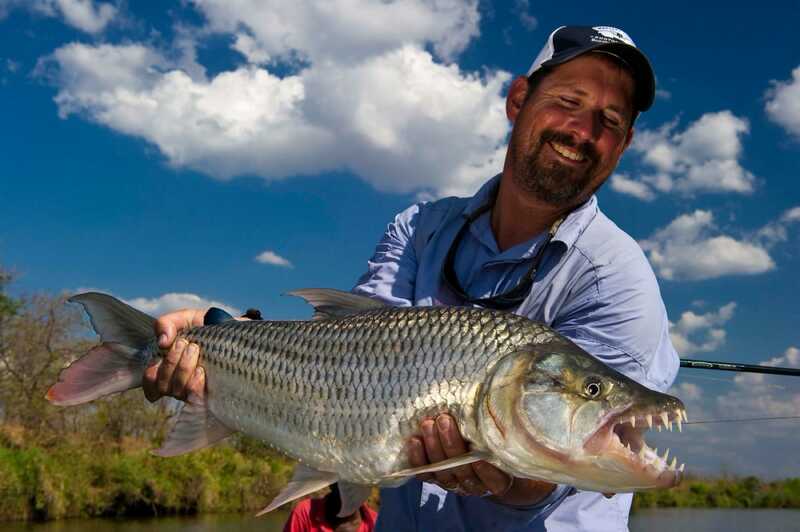 Tiger-fishing The Chobe is home to over 90 fish species, but king of them all for anglers is the tigerfish, the fastest freshwater fish in Africa. This vigorous striped predator has an average weight of 10 to 12kg (the record, if there isn’t some fishy exaggeration going on, is a 70kg monster) and they like to fight back. The Chobe is also home to gigantic catfish, or barbel, bream and Zambezi yellow fish. Note: Most lodges practice catch and release. Photographic safaris, another Chobe Riverside speciality: specially kitted-out safari boats for photographers. Photo boats come with swivel seats and arms upon which experts can mount their gear; some of the better outfits even provide the camera and lenses. Guides know both river and photo opportunities intimately and will share their tech knowledge, so snappers have freedom to concentrate on the shots. Dedicated photo trips that combine time on the plains (in a vehicle with bean bag mounts) can also be booked. Excellent for solo travellers and couples. All things great and small besides umpteen wrinkly elephants, spotted hyena, impala, bushbuck, sable, wildebeest, kudu and giraffe can be seen. In 2017, Travel Africa magazine noted that there were 40 lion in four prides that hunted along the Chobe Riverside. Bird specials (some of which are summer migrants) include osprey, African skimmers and that leopard of the bird world, Pel’s fishing owl. 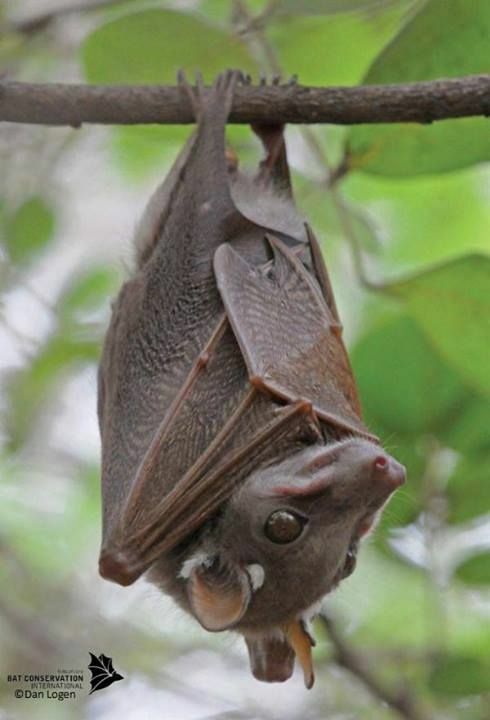 Surprises may include water lilies in the river, the size of the ants, bushbabies in the trees and the eerie squeaks and whistles of Peter’s Epauletted Fruit Bat. Also, remarkable Great White Pelicans that “commute” almost daily from the Chobe River 300km south to feed fish to their chicks on Sua Pan. 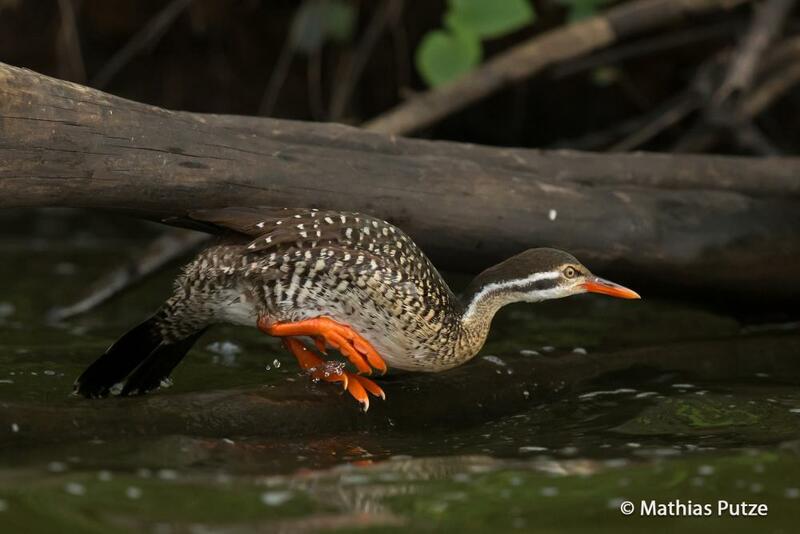 “Now that’s parental dedication!” says Birds of Botswana co-author Peter Hancock. Houseboats Happiness is floating on the Chobe at night, the deck washed with starlight, hippos honking and hyenas whooping in the distance. There is a handful of houseboats to choose from. From these floating lodgings, river and game safaris can be arranged (game viewing can of course happen from the deck, but smaller boats will take you out specifically to go game-hunting). These are generally all-inclusive experiences, and popular with families and honeymooners. Meals are of good quality although check whether Halaal and Kosher requirements can be met. The itineraries are relaxed and tailor-made. As some of the craft operate from Namibian waters, there is some extra paperwork. The kick-off point for most Chobe adventures is the growing town of Kasane, where warthogs cross the main street and residents have found elephant munching through their flowerbeds. Chobe is not fenced, all the better to allow natural migration routes and patterns to play out. Kasane is not the frontier town it once was; the gravel airstrip is now an international airport and you can get just about anything you might need. Most guests will fly here from Johannesburg, South Africa, or via Botswana’ capital city Gaborone, and it is perfectly possible to drive the 1,200km in an ordinary car, although not everyone would wish to. Just past Kasane the Chobe spills into the Zambezi, at the confluence of four countries: Botswana, Namibia, Zimbabwe and Zambia. 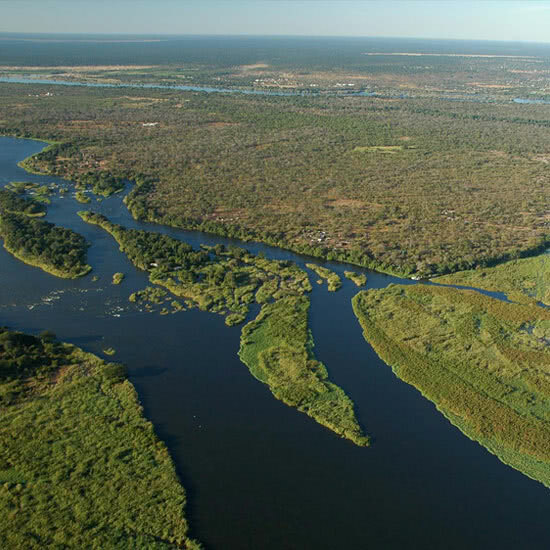 Its waters travel all the way from its original source in Angola, where it is called the Cuando River; it later becomes the Linyanti and then, at Ngoma, the Chobe. At this point it is a convoluted, wide channel, dotted with islands and swampy areas. A ferry crosses the Zambezi at Kazungula. Opposite Kasane is Impalila Island, Namibian territory, where David Livingstone once camped before pressing on to the Victoria Falls. It is possible for guests to walk through local villages to see an ancient baobab tree, alive when Romans still walked the Earth. While eastern Chobe Riverside’s proximity to town may not be a plus for everyone, it does add an extra layer of possibilities to a trip, good for families that need to break up the game-watching regime. Many lodges – the more luxurious offer private plunge pools and voluminous rooms – charge all-inclusive rates, as do mobile and guided safaris. This includes all meals and standard drinks, park fees, and a couple of activities a day such as guided game drives or cruises. This makes the total less alarming than it at first may seem. There is only one permanent lodge in the park itself at Chobe Riverside (and some mobile outfits), so most game drives vehicles in this area travel to Sedudu Gate for access – and must leave by dark. Being in the park is an advantage as one can linger longer and be first on the scene at dawn. Different lodges cater to different needs for families, couples seeking romance and solo travellers. Note that not all accept children and tots may not be allowed on game drives. Ask about child-friendly accommodations. The area closest to Kasane gets super busy in high season. To try and manage high season congestion at opening time, officials at Sedudu Gate allow tour operators entry for the first hour, followed by day visitors. Guidebook writer and journalist Gill Staden says she “always stays at the western end of the Riverside. That end is quiet.” Gate times from 1 April to 30 September are 06h00 to 18h30; from 1 October to 31 March they open at 05h30 and close at 19h00. The very sandy and slippery clay roads in the park require a 4x4 vehicle. Petrol is only available at Kasane – or Maun. Take a good map; ask about road conditions, and factor in much higher fuel consumption in deep sand says guidebook author and occasional guide Mike Main. More adventurous overland, mobile safari participants and some self-drivers will camp. There is only one public camp site in this area, unfenced Ihaha (GPS: S 17 50. 19; E 24 52. 40). It has 10 sites (avoid the tempting #2 as baboons like to sleep in that shady tree) and simple ablutions with hot showers and flushing loos. These get booked up fast, especially during local school holidays. The DWNP has outsourced the campsite to Kwalate Safaris to run, +267 686-1448; kwalatesafari@gmail.com. The old picnic site on the Chobe known as Serondela has since closed, but it is Botswana-based author Mike Main’s favourite spot in the park. “Not only is it very beautiful,” he says, “but it was here, in the 1930s, that the Susman brothers, foresters who had concessions in Western Zambia, cut timber and hauled it to the crest of the escarpment overlooking the Chobe River. It was loaded onto carts that ran on a wooden railway line down the riverbank.” Main’s African Adventurer’s Guide to Botswana is a useful resource for self-drivers. Tiger fishing permits can be obtained from the Department of Wildlife & National Parks, Kasane, +267 625-0486. Kasane International Airport (+267 625-0133) is the main transit point for Chobe National Park.